AMES, Iowa — Central Iowa artists Art Ciccotti, Napier, and Flo Hayes, Urbandale, will share their complementary work in an exhibition Feb. 22 through March 17 at the Iowa State University Design on Main Gallery, 203 Main St., Ames. 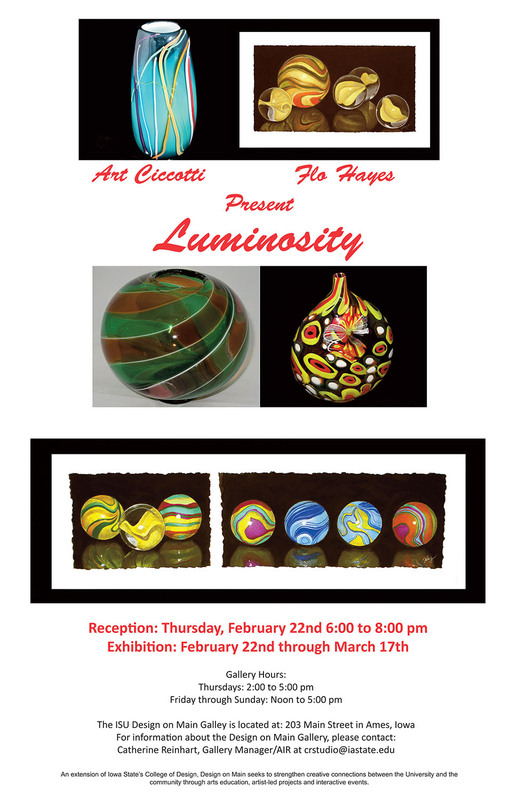 “Luminosity” will highlight the reflective and tactile qualities of spherical objects, displaying Ciccotti’s glass marbles and mobiles in tandem with pastel drawings of marbles by Hayes. Gallery hours for spring semester are 2 to 5 p.m. Thursday and noon to 5 p.m. Friday through Sunday or by appointment. An opening reception will be from 6 to 8 p.m. Thursday, Feb. 22. 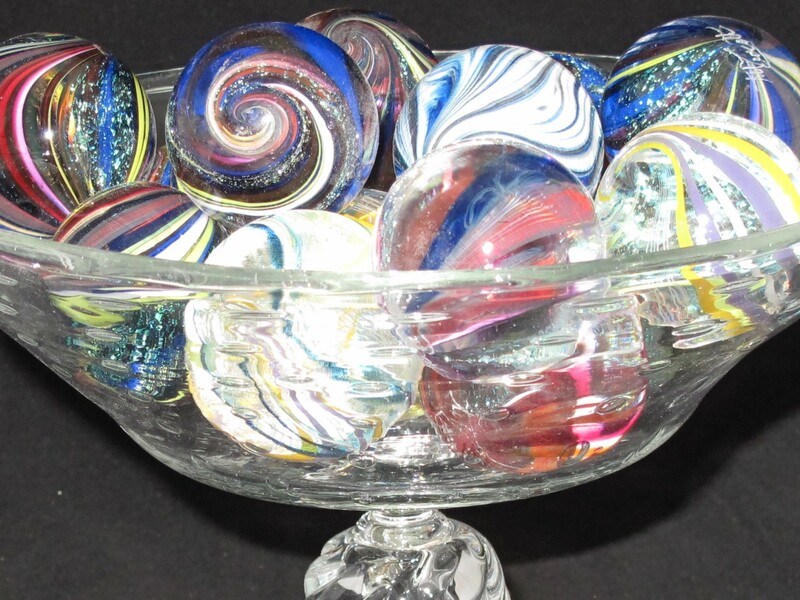 Ciccotti holds a Bachelor of Fine Arts in art education from Iowa State, where he learned the basics of glassblowing as a member of the Gaffers’ Guild. Since then he has continued his education through numerous workshops around the United States, honing his skills and learning new techniques. 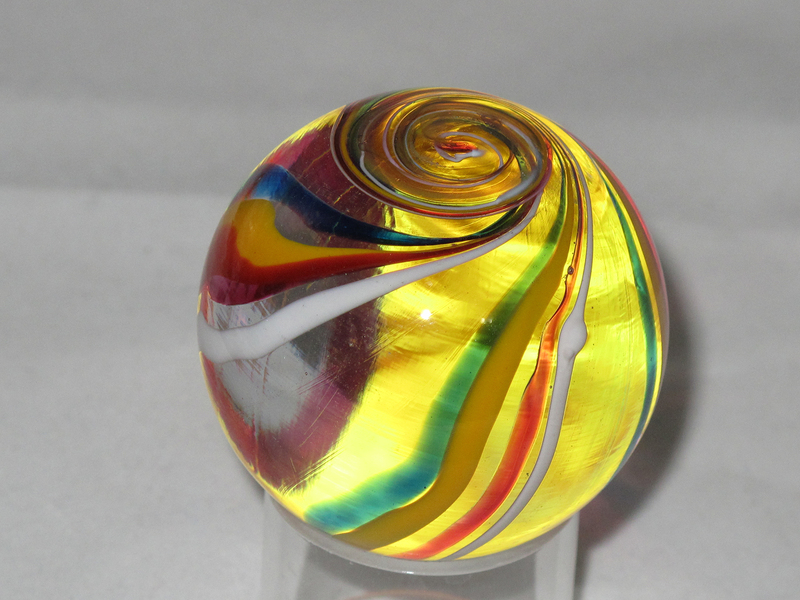 His current designs have roots in Venetian glass-working techniques. His influences include sculptor Henry Moore, painter Paul Gauguin and contemporary glassblowers such as Elio Quarisa, Lino Tagliapietra, William Morris and David Patchen. 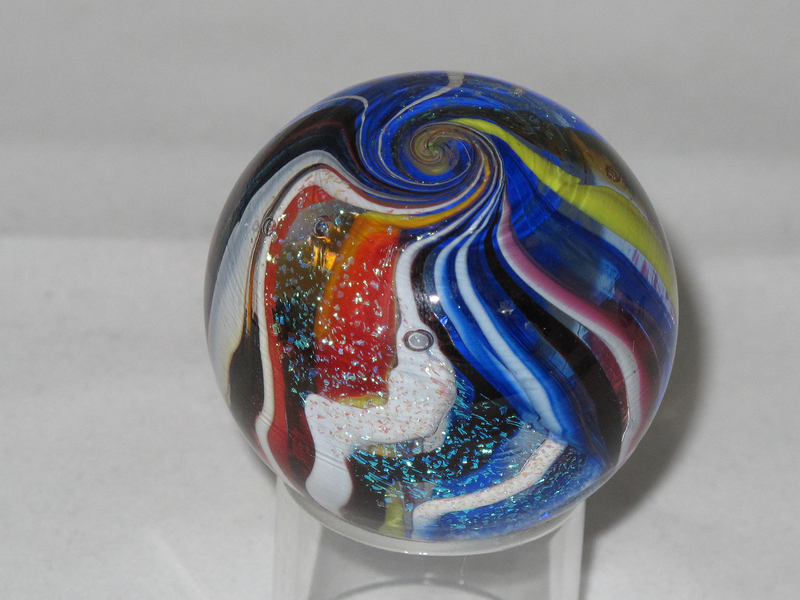 Learn more at Ciccotti Art Glass. 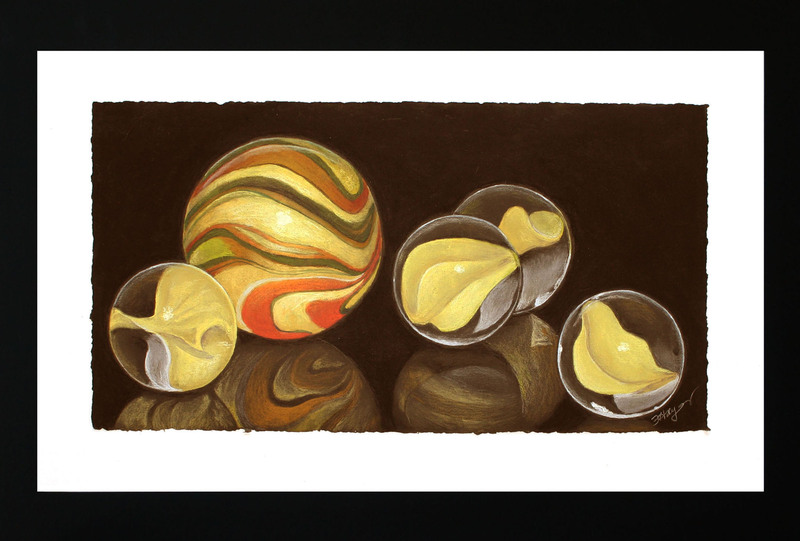 Stretching the normal themes of landscape and portrait typical of pastel artists, Hayes’ work captures the unique qualities of glass and its reflections in two-dimensional art. 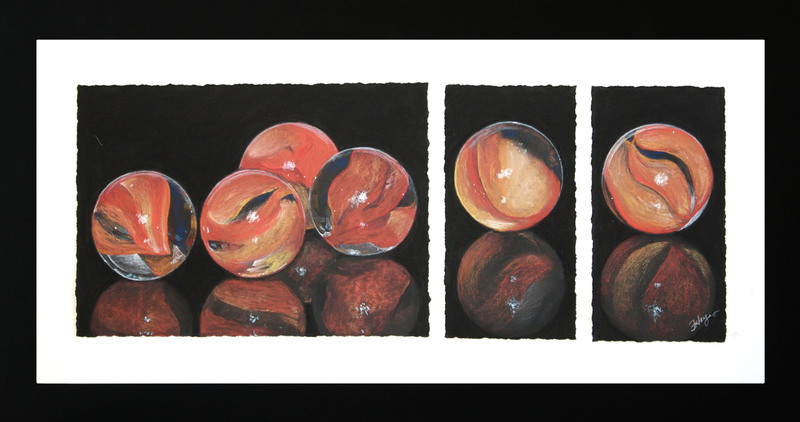 She has developed her abilities through classes at the School of the Art Institute of Chicago and the American Academy of Art as well as through personal exploration of pastels and pen and ink. Learn more at Floriana Hayes Fine Art.